We girls at the organization are not devout or deeply religious, but we are involved in our local Protestant church whenever there are functions, events, bake-offs, or charitable work for the less fortunate. We do get inspiration from the good book and the events that are described in the Bible. (In fact, some of our favorite passages come from 1 Peter and Ephesians 5:22 – 5:24) You can look at some of our favorite quotes here at our official website. Our greatest model for femininity begins with Eve. We believe that the symbolical meaning of woman being created from man’s rib is the foundation of the Stepford edict: Eve was created solely to be a helper to Adam, to keep him company so he would not be alone. That Eve was seduced by the serpent to take that first bite, thus banishing both man and woman from the garden of Eden meant the weight of sin is on the woman’s shoulders. We were taught by the Stepford Men’s Organization that a deep sense of shame and contrition should be our identity as faithful wives to our husbands. Marriage is our second chance to do right by our men. Where Eve faltered, we will succeed. One of our trademarks as girls of the Stepford Wives Organization is that we all have long hair. 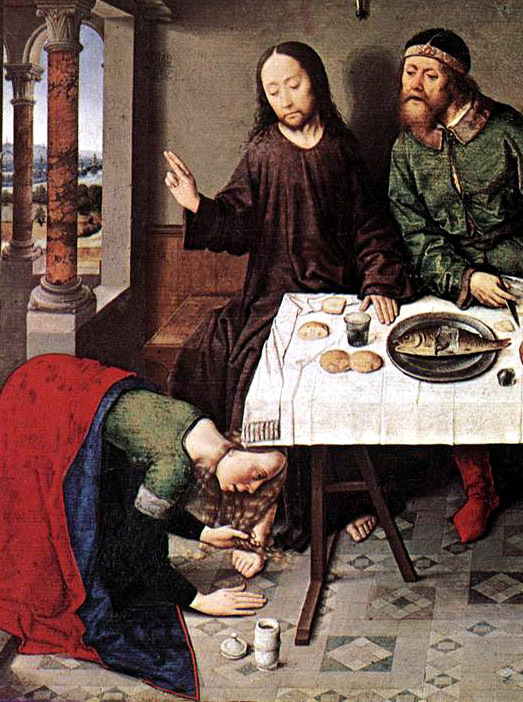 We also drew inspiration from the story of Simon of Pharisees inviting Jesus to dinner. It’s not often that our husbands request us to wash their feet with our hair, but the symbolic gesture of having a lengthy mane to fulfill our lord’s wishes has always been greatly appreciated. After all, we took the first bite from that apple. As women, we have figuratively lived sinful lives. Cherishing the Stepford way of pleasing our men, being a helpmeet and attentive wives to them is our way of seeking redemption. The First Rule About Stepford Wives Organization Is To Start Early ! She Wants President Hillary, He Wants President Trump, She Wants A Divorce. Candy on Why You Should Beat Your Wife?